Some of the perks of living in Florida are the tropical climate, ocean breezes in the evening, beautiful sunsets, and the magnificent beaches all around us. The ocean is one of the things we cherish the most, and protecting it should be something we all do. It’s our responsibility to think about it’s longevity, so the generations after us can enjoy it as well. One big aspect of preserving the ocean and it’s beaches, is caring for the marine life that is a part of its ecosystem. One beloved marine animal that is in danger is the sea turtle. What Do You Know About Turtles? For centuries turtles have roamed the ocean. Although now an endangered species, these majestic looking and gentle creatures are responsible for keeping the ocean healthy. Turtles play an important part of ocean preservation by grazing on seagrass, controlling sponge distribution, feasting on jellyfishes, transporting nutrients, and supporting other marine life. During the summer months turtles come to Florida to breed and lay their eggs. Florida is one of the most important nesting areas in the United States, and one of the most frequented areas in Florida for turtles to nest is St. Augustine. We talk so much about St. Augustine’s history that we forget all the wonderful wildlife that it has to offer! Who would’ve thought this old city would be a favorite area for some of the main nesting sea turtles? During the day St. Augustine beach goers enjoy the water and sun, but at night the sea turtles come to shore to find a place to make their nest and lay their eggs. Many Florida beaches welcome more than 100,000 female sea turtles! The most common species of turtles that build their nests in Florida are Loggerhead turtles, Green turtles, and Leatherback turtles. Let’s start with the Loggerhead, as its the most commonly seen on our shores. 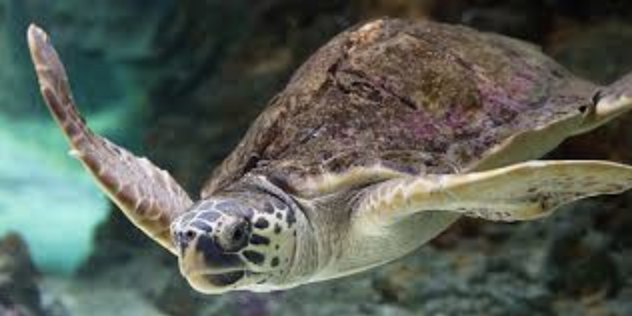 The Loggerhead is the most common turtle found on Florida shores. The loggerhead gets its name from its large, wide head and powerful jaws. It is classified as a threatened species. Its estimated that as many as 68,000 Loggerhead nests are found in Florida each year! 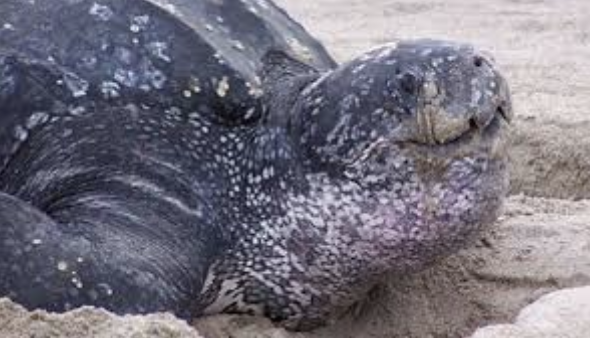 Leatherback females undertake the longest breeding migration of any other turtle species. surviving branch. This group boasts the largest living sea turtle ever recorded! The Green Sea Turtle is one of the largest sea turtles and the only herbivore among the different species. Green Turtles are in fact named for the greenish color of their cartilage and fat, not their shells. Sea turtle nesting season occurs in Florida from March 1st through October 31st. Sea turtles lay their eggs on the sand at night. They lay their eggs in the sand because it is warm, and acts as an incubator. It’s not an easy task though. Female turtles come to the shores to make their nesting burrows and cover them up with sand, dirt, and mud. They use lower dunes to nest their eggs. They deposit an average of 100 eggs in each nest and make between 3 to 7 nests during the nesting season. From there the incubation time varies, but the average time is around two months before hatching occurs. After laying their eggs, the female turtle’s job is done and they go back to sea. So, baby turtles will have to fight to survive on their own. Baby turtles, called hatchlings, will hatch between 40 to 70 days of being laid. When they are still in the shell, a group of hatchlings is called clutch. Watching hatchlings struggle out of their nest and make it into the water is a dramatic and emotional experience. Hatchlings will wait until the sand cools at night before going into the water to float in beds of seaweeds for several years. This is not an easy task, as they face many obstacles to get there. The challenges begin as soon as they leave their nests. From crabs, driftwood, to tourists, the odds are against them. This gauntlet is important for their survival, interestingly enough. It is estimated that only 1 in 1,000 hatchlings will survive to adulthood. The odds are 1000:1 against a baby sea turtle living long enough to reproduce! Turn off the lights: If you are in a nesting area, turn off any lights! The hatchlings use whitecaps and the moonlight reflecting on the water to guide them to sea. Other light sources including flashlights, flash cameras, fireworks, campfires and light from beach houses disorient them. Smooth the sand: When you’re the size of a baby sea turtle, sand castles and moats can be life-threatening obstacles. Knock them down or fill them in, along with any other obstacles that could stand between the babies and the sea. Clear the beach: Pack up your trash, furniture and belongings before leaving the beach for the day. These are more challenges for the turtles to overcome. What Do You Do If You See A Sea Turtle Nest? All Florida’s sea turtles, nests and hatchlings are threatened or endangered species protected under Federal and state law. Do not disturb them. If you find an injured or dead turtle, call Florida Fish and Wildlife at 888-404-3922 or just dial *FWC and provide the animal’s location, closest access point and approximate size. If you see spray paint, it’s a documented turtle. To be on the safe side, you should consider joining the many places having events that show you the right and safest way to enjoy watching this wonderful act of nature without fear of harming the turtles or hatchlings. Anastasia State Park hosts a presentation about the sea turtles that can be found at the park on Saturday, October 20, 2018, from 1:00 to 2:00 p.m. This talk will include all the fascinating facts about sea turtles — how to identify them, how they nest and hatch, and how we can help them survive the many dangers they encounter on our beaches. This free program is family friendly and will take place at the Sea Turtle Pavilion near the Island Beach Grill. For more information, call (904) 461-2033 or visit here. Admission: The Sea Turtle Talk is free with regular park admission: $8 per vehicle with up to 8 people, $4 per vehicle with one occupant, and $2 for pedestrians/bicyclists. Come be a part of this wonderful turtle experience. Enjoy the sites and be a part of the effort to preserve some of our most beautiful and oldest sea friends.